Using the jQuery Mega Menu widget provided with the theme you can easily set up really advanced menus. Users can Rate & Review your products easily using this theme. 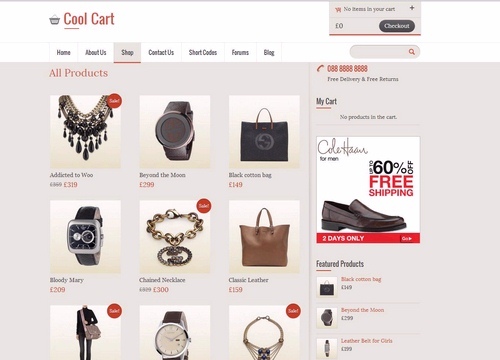 Planning to buy CoolCart theme from Templatic. Buy with Confidence. This page provides you with all possible Buying options. Usually Buying options or Pricing page of any theme designer is designed for conversions (to attract users and convince them to buy). Our Buying options page is not like that. We provide all the information about each Buying option. No hidden text or terms. We tried to cover everything that you should know before buying this theme.